Neftalie Williams is the first professor of skateboarding business, media and culture in the United States. He conducts research and lectures at the USC Annenberg School of Communication and Journalism in Los Angeles California. 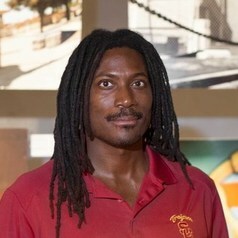 He is also Research Director for the USC Annenberg Institute of Sports, Media and Society (AISMS). Neftalie is the first academic and skateboarding envoy for the Unites States to the U.S. Embassy in the Netherlands. His work is part of the U.S. Embassy in the Netherlands campaign to integrate Syrian refugees into the life in Europe.